Despite recent funding cuts to libraries across the country, with hundreds closing, partnerships between existing libraries and local primary schools are still flourishing and the benefits can’t be ignored. A recent report in The Guardian outlined the positive impact of the collaboration between schools and local libraries. In particular the report looks at the outcome of the Summer Reading Challenge. The Summer Reading Challenge encourages children aged 4 to 11 to read six books during the long summer holiday. Children can read whatever they like – fact books, joke books, picture books, audio books – just as long as they are borrowed from the library. Children receive special rewards each time they finish a book and a certificate for completing the Challenge. Encouraging children to read isn’t always easy, so any projects that lead children to pro-actively engage with books are definitely a great move. Enjoyment in reading is critical for attainment in literacy according to the Independent reading charity, The Reading Agency. Access to books, especially for children in deprived areas, is often only at school or from the library. “Reading for pleasure is more important to children’s successes than education or social class. The Summer Reading Challenge gets three quarters of a million children into libraries to keep up their reading skills and confidence during the long holidays,” says The Reading Agency. While the future of many libraries hangs in the balance, teachers, schools, children and families are campaigning to keep libraries open. When Lancashire council announced its plans to close Rishton library, pupils at the nearby St Charles RC primary began a letter-writing campaign to save it. The outcome is yet to be seen, and a petition in the local community continues. Officials in the library closure campaign would do well to heed The Reading Agency’s strapline – Because everything changes when we read. 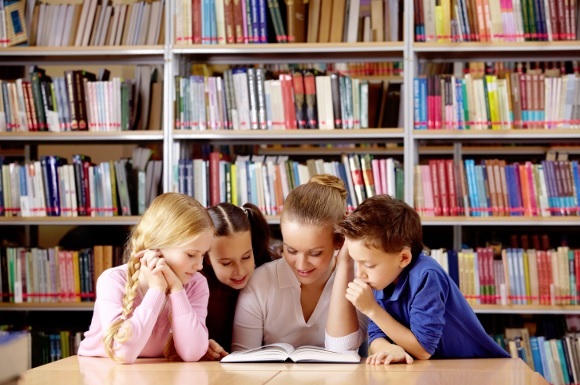 Libraries are a vital resource for cash-strapped schools.